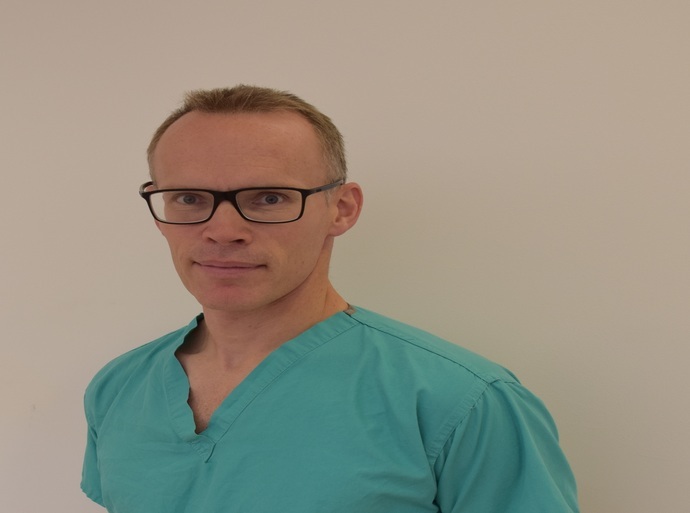 Martin James has been a Consultant Hepatologist & Gastroenterologist at Nottingham University Hospitals NHS Trust since September 2008. After 2 years training in South Africa, he completed clinical training, including an MRC Clinical Research Fellowship PhD, in 2006. He undertook 18 months sub-specialty training in transplant hepatology & ERCP at Australian National Liver Transplantation Unit, Royal Prince Alfred Hospital, Sydney. Since appointment as consultant in September 2008, he has focused on the management of liver and biliary diseases with a range of expertise including hepatology and EUS/ERCP biliary endoscopy. He is co-director of the Nottingham Endoscopy Masterclass and runs regional GI bleeding & ERCP training programmes. From 2014-2018 he has been clinical lead for Gastroenterology and Hepatology and is an active clinical researcher and is one of the principal investigators in the National Institute of Health Biomedical Research Unit at Nottingham Digestive Diseases Centre, Nottingham. Dr James sees and treats both NHS and private patients at the Nottingham NHS Treatment Centre.